I took the plastic gold chain off and replaced it with the necklace. Then there was the problem of how to decorate it. I had originally decided to do some embroidery but couldn’t decide on a pattern. Anyway, the other night I made some little felt flowers (just for fun). When I looked at them, I realised that the flowers would look lovely on my bag. 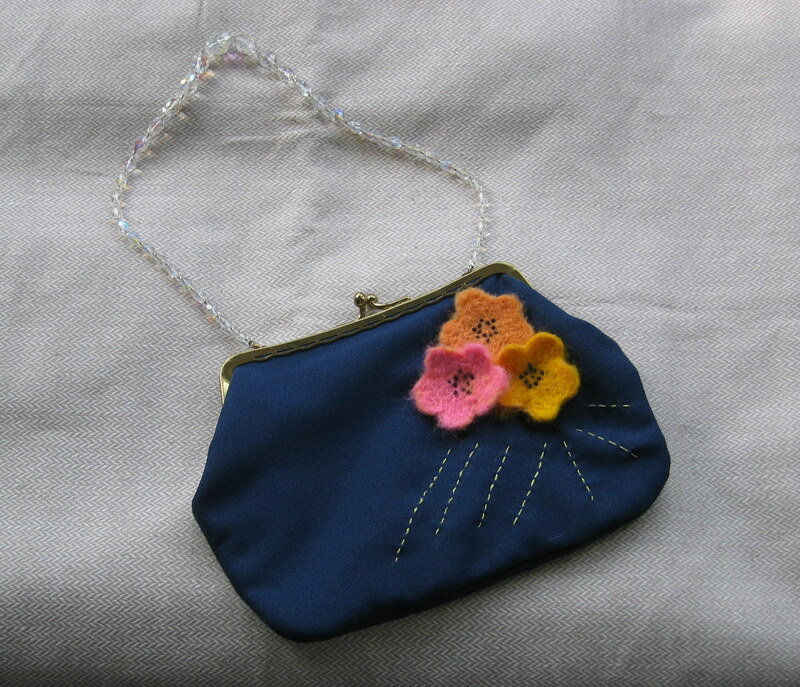 Here’s one of the flowers sewn onto the bag. 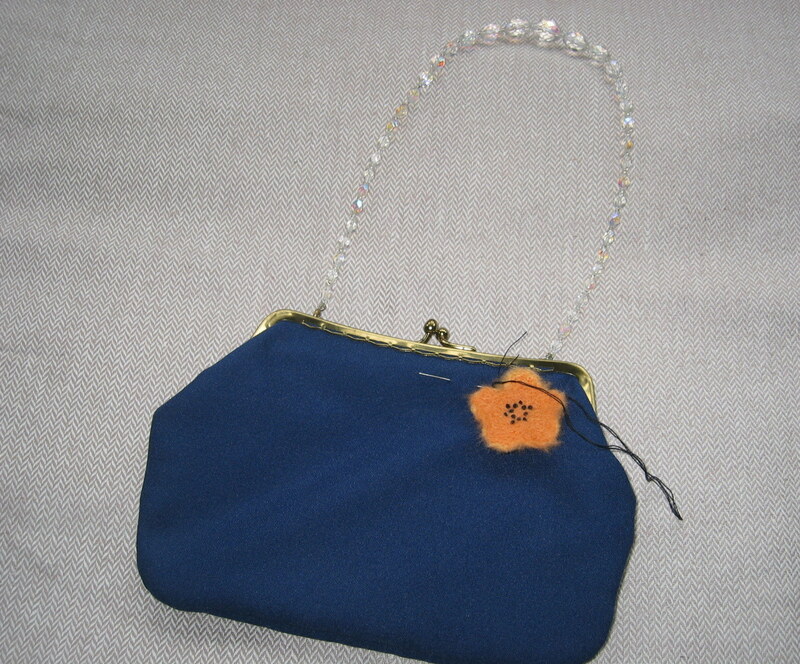 I used black thread and sewed the flower on with a series of French knots. I added a couple more flowers then decided that it needed a little more, so I did some embroidery after all! 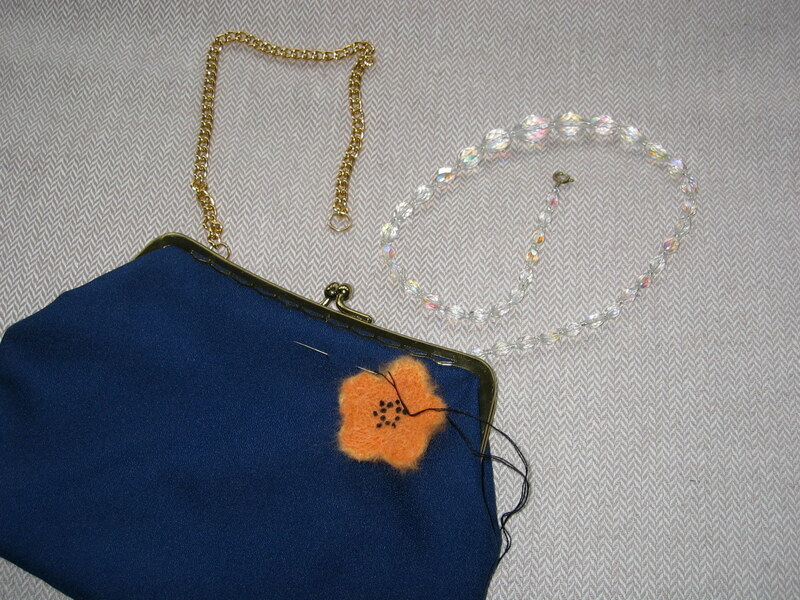 I used the left over thread from my pearls to sew a few lines in. I think it finishes the design off nicely, don’t you?